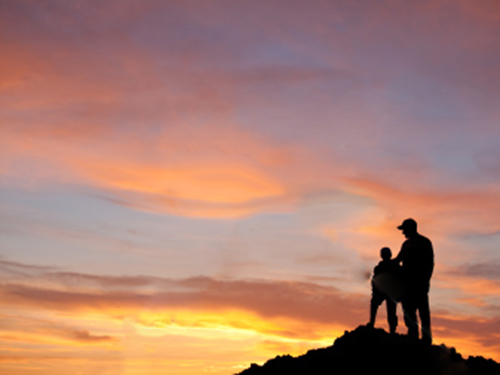 Save over $300 on our Father-Son Wilderness Program!! We are very excited to announce that our upcoming Father-Son Wilderness Program is available at just $595 for a Father-Son pair, which is $305 off the full price. That's less than $300 per person. You may sign up one additional son for a discounted rate of $225. Space is limited,, so register soon if you are interested! What are your best memories of your Dad? Chances are, they involve time in nature, when things were moving slow, and he really showed up for you. When was the last time you gave that experience to your son? What will his best memories be of you? There is no denying that our world is speeding up faster and faster. If you want to give your son those high quality moments of connection that will last him a lifetime, you've got to carve out the time and space for him. 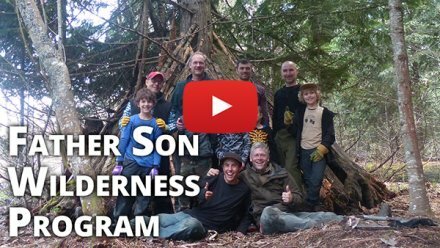 Our Father Son Wilderness Program is designed to give you and your son(s) this kind of connection, the experience of a lifetime. Just imagine taking four days with your son(s), and connecting deeply with nature and your boy(s) through ancestral wilderness survival skills, all within a small "tribe" of other fathers & sons that are like minded with similar values. Since the dawn of time, fathers and sons have bonded deeply in and with the wilderness. Ancestral wilderness skills have an innate ability to deepen the Father-Son connection like nothing else. 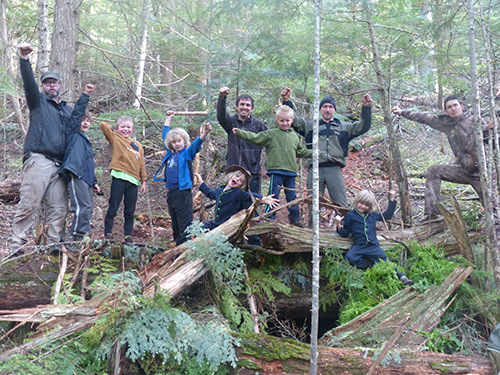 This May, we're running a very special Father-Son Wilderness Program at Twin Eagles. During this program, we'll make fire by friction, build and sleep in natural shelters, learn traditional hunting and gathering techniques, and track wild animals. Primitive wilderness survival isn't a "Man vs. Wild" scenario, it is an opportunity to build a deep relationship with the Earth. As you and your son do so, you'll find that your relationship with each other deepens in powerful and unexpected ways. We'll have facilitated, open heart Father-Son relationship deepening time, and of course opportunities to connect with the other fathers and sons present. Just as our earth based ancestors did, we'll utilize traditional earth based practices to help facilitate the connection, and have surprise elements too. We're looking for fathers and sons who are ready to open their bodies, minds, and hearts to a deeper connection, have epic fun, and take the time to connect with what matters most. P.S. This is absolutely one of my very favorite experiences to facilitate, as fatherhood is such a personal passion of mine. The Father-Son connection is such a precious one, and unfortunately all too often goes untended and dissipates when faced with the pressures of our modern culture. Deep nature connection, mentoring, and inner tracking are the perfect fit to help fathers and sons not just deepen their connection, but experience the sacred joy, love, peace, and purpose at the heart of the bond. We still have spots left in what promises to be an extraordinary experience!